Hungarian Tourism officials put on a wonderful show in Toronto on Jan. 22, 2019. A safe, livable country with a rich history. One of the world’s most sought-after wines. More than 1,400 thermal baths. And one of Europe’s greatest cities. 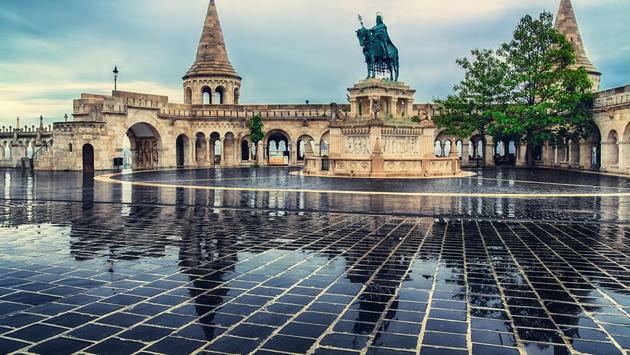 Hungary doesn’t always get as much credit as it should when it comes to European destinations. The Hungarian Tourism Agency is hoping to change that. The agency took over the Ritz Carlton Hotel in downtown Toronto last night for a wonderful dinner and cocktail reception for agents, travel industry types and the media, outlining the wonderful lakes, Michelin-starred restaurants, bucolic wineries and other attractions in Hungary. “The people of Hungary are very hospitable and always like to welcome visitors,” said Valer Palkovits, Hungary’s Consul General in Toronto. Palkovits said Hungary has four restaurants with a Michelin star, and one with two stars. He also pointed out that Air Canada flies direct to Budapest from Toronto, and that LOT airlines also flies from Canada to Hungary. Hungarian Tourism put on a great show in Toronto on Jan. 22, 2019; showing off a wide variety of attractions to agents and travel industry types. 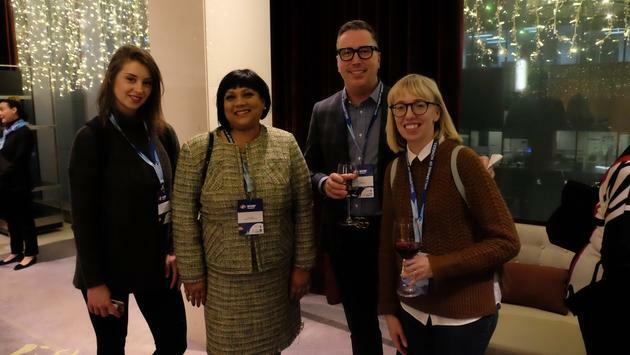 Zsuzsanna Sarmon, Regional Head of Business Development, North America for the Hungarian National Tourism Office in New York, said she encourages visitors to broaden their horizons and explore beyond the beautiful city of Budapest. Hungary is full of authentic experiences, such as sampling sweet “chimney cakes” and mixing with the cowboys of Hungary’s Great Plains, and raise your hands if you’ve ever heard of Hungarian cowboys! Most tourism videos I see are fairly tame and almost interchangeable. But I found the “Wow Hungary” video to be a little different; slightly cheeky and definitely full of fun. Particular attention was allotted to the Tokaj region—established by royal decree in 1757—where the confluence of a temperate climate and minerally rich soils produce some of Europe’s most prestigious sweet wines. Hungary’s Lake Balaton is the largest lake in central Europe and a foremost tourist attraction, with warm waters conducive to bathing and sailing and a beautiful surrounding countryside renowned for producing excellent vintages, officials said. Hungary has become an increasingly popular destination in the growing sector of wellness travel. 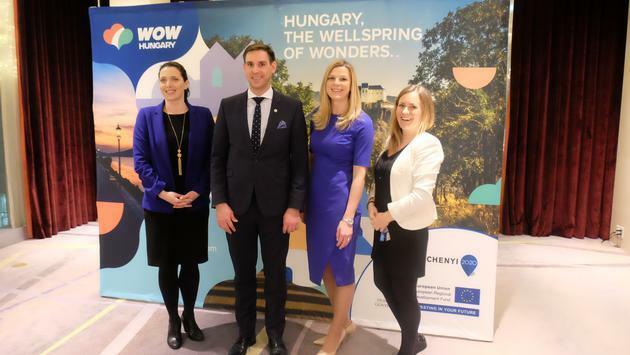 The Hungarian Tourism Agency pointed out that Hungary holds the fifth largest thermal water reserve in the world, boasting more than 1,400 springs, 200 thermal baths, and over 40 modern health spa hotels. I lhad a brief but terrific visit to Budapest a few years ago. Watching the video last night, I loved the look of the country’s limestone caves and the thermal spas. Of course, those wineries sound pretty good, too.